GRISS researcher José Luis Valero did two lectures entitled “A utilização da infografia em Ambientes Educativos e de aprendizagem” and “Ainfografia no contexto atual”. 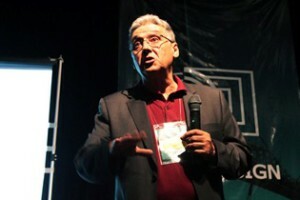 The event took place at the Universidade Federal de Santa Catarina, Florianópolis (Brasil), from 5 to 9 of June. ErgoDesing is an international congress of ergonomics interested on the ease of use of human interfaces and technologies. The main focuses are usability, technology in the educational field and accessibility in digital environments.